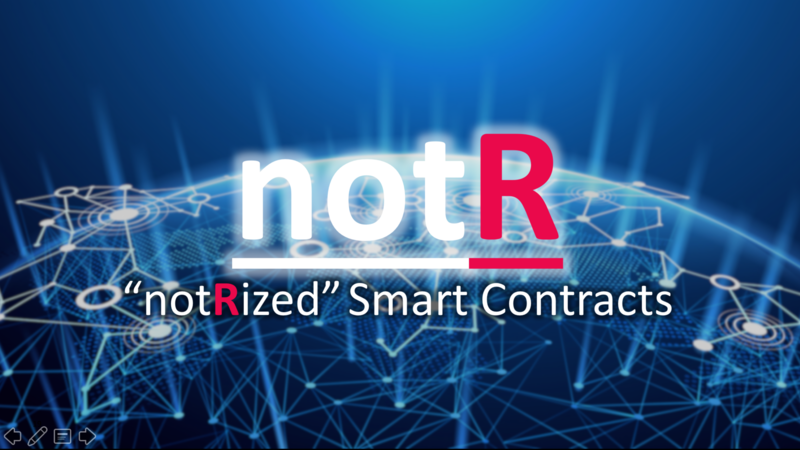 notR is the digital notary for smart contracts that brings safety to smart contracts maintaining complete anonymity of participants. To this goal, we provide a new type of smart contract. More specific, we extend the set of smart contract conditions with identity verification, digital signature, age and geolocation verification.